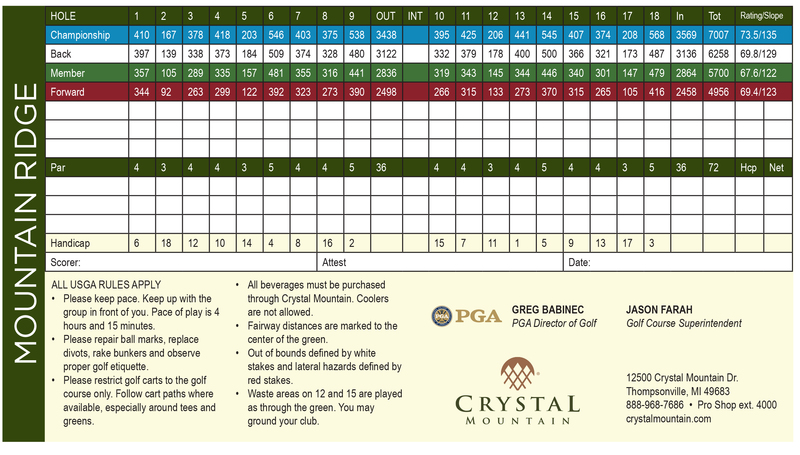 Crystal Mountain is northern Michigan’s golf destination with two distinctively different, yet equally mesmerizing golf courses. Both the Mountain Ridge and Betsie Valley golf courses have received a prestigious 4-Star rating from Golf Digest magazine and are sure to challenge your skills at every turn. Crystal Mountain's 10-acre Practice & Learning Center has all the amenities in which to prepare for your round and improve your game. Home to the nationally renowned Crystal Mountain Golf School, the Practice & Learning Center features a driving range - including a covered hitting area, putting green and two multi-tiered chipping greens with bunkers, perfect for sharpening short-game skills. The Practice & Learning Center is open to the public with a range ball machine on-site that accepts cash or credit cards. For more information, please call the Kinlochen Pro Shop at 888-968-7686, ext. 4000. Book your tee time online and save! 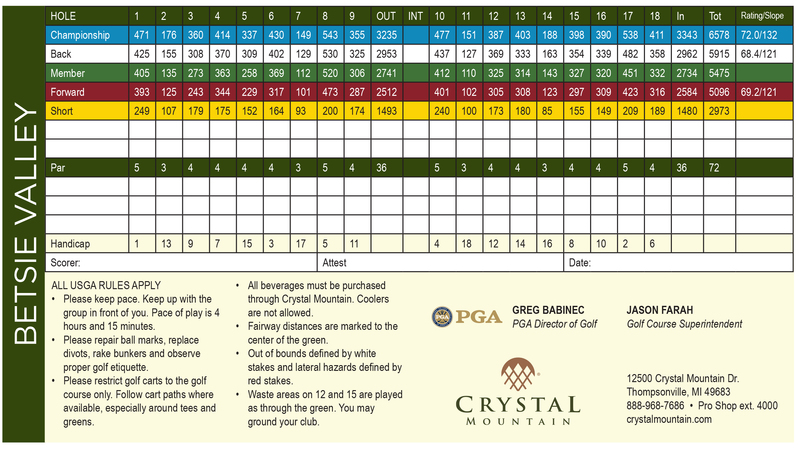 Enjoy 36 holes of championship golf on our Betsie Valley or Mountain Ridge courses. Our experienced team of instructors are ready to help bring your golf game to new levels!